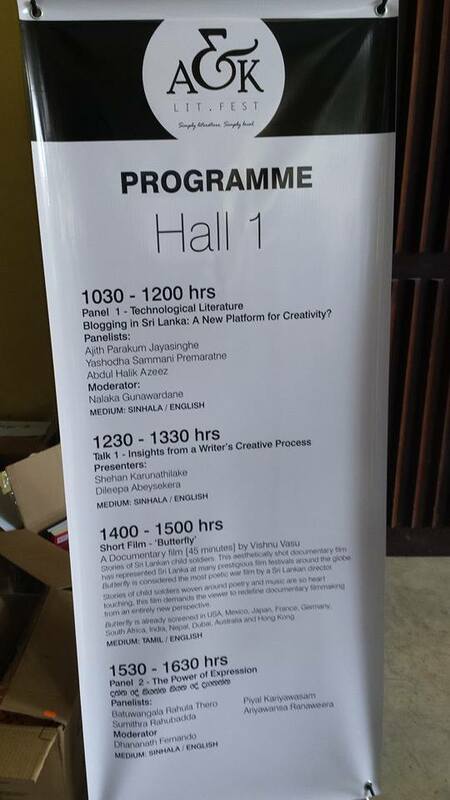 This is precisely what the One Sri Lanka Journalism Fellowship Program (OSLJF) has addressed, in its own small way. 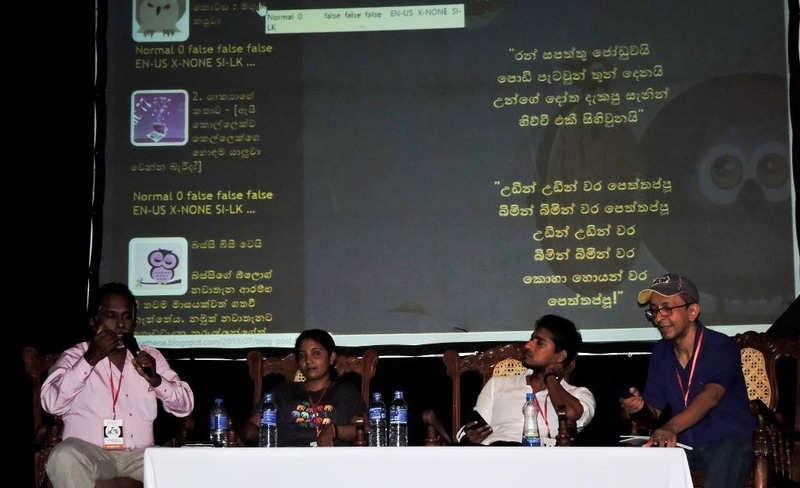 An initiative of InterNews, an international media development organisation, OSLJF was a platform which has brought together Sinhala, Tamil and Muslim working journalists from across the country to conceptualize and produce stories that explored issues affecting all ordinary Lankans. From December 2015 to September 2016, some 30 full-time or freelance journalists reporting for the country’s mainstream media were supported to engage in field-based, multi-sourced stories on social, economic and political topics of public interest. They worked in multi-ethnic teams, mentored by senior Lankan journalists drawn from the media industry who gave training sessions to strengthen the skills and broaden the horizons of this group of early and mid-career journalists. 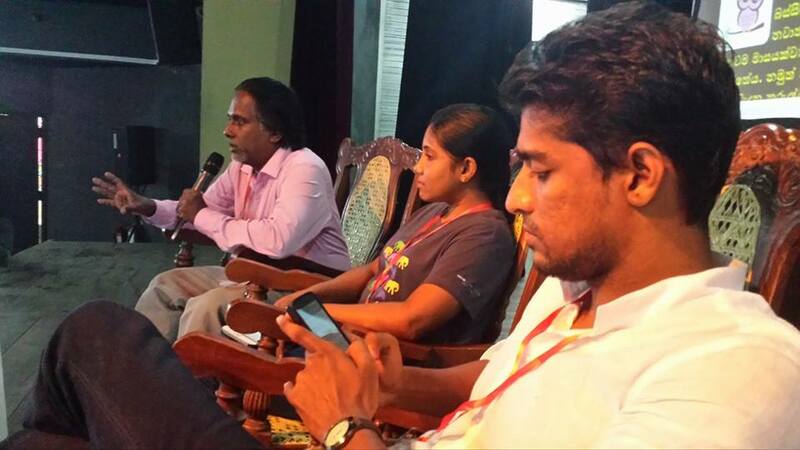 As the project ends, the participating journalists, mentors and administrators came together at an event in Colombo on 20 September 2016 to share experiences and impressions. This was more than a mere award ceremony – it also sought to explore how the learnings can be institutionalized within the country’s mainstream and new media outlets. I was asked to host the event, and also to moderate a panel of key media stakeholders. 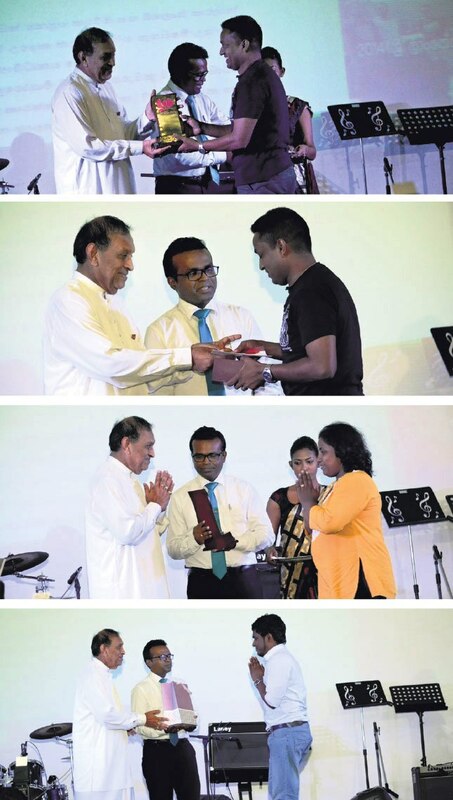 As a former journalist who remains a columnist, blogger and media researcher, I was happy to accept this as I am committed to building a BETTER MEDIA in Sri Lanka. “If you don’t like the news … go out and make some of your own!” So said Wes (‘Scoop’) Nisker, the US author, radio commentator and comedian who used that line as the title of a 1994 book. Instead of just grumbling about imperfections in the media, more and more people are using digital technologies and the web to become their own reporters, commentators and publishers. Rise of citizen journalism and digital media start-ups are evidence of this. BUT we cannot ignore mainstream media (MSM) in our part of the world. MSM – especially and radio broadcasters — still have vast reach and they influence public perceptions and opinions. It is VITAL to improve their professionalism and ethical conduct. In discussing the Future of Journalism in the Digital Age today, we want to look at BOTH the mainstream media AND new media initiatives using web/digital technologies. BOTTOMLINE: How to uphold timeless values in journalism: Accuracy, Balance, Credibility and promotion of PUBLIC INTEREST? What can be done to revitalize declining quality and outreach of mainstream media? Why do we have so little innovation in our media? What are the limiting factors? 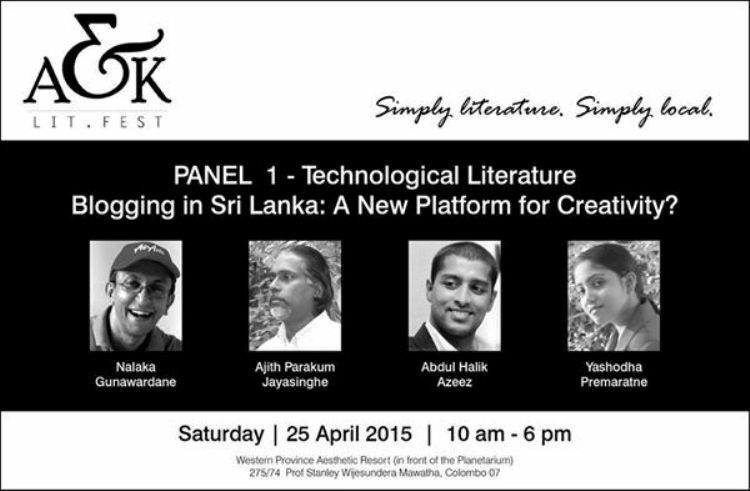 What is the ideal mix and balance of mainstream and new media for Lanka? Can media with accuracy, balance and ethics survive in our limited market? If so, how? What can government, professionals and civil society to do to nurture a better media? 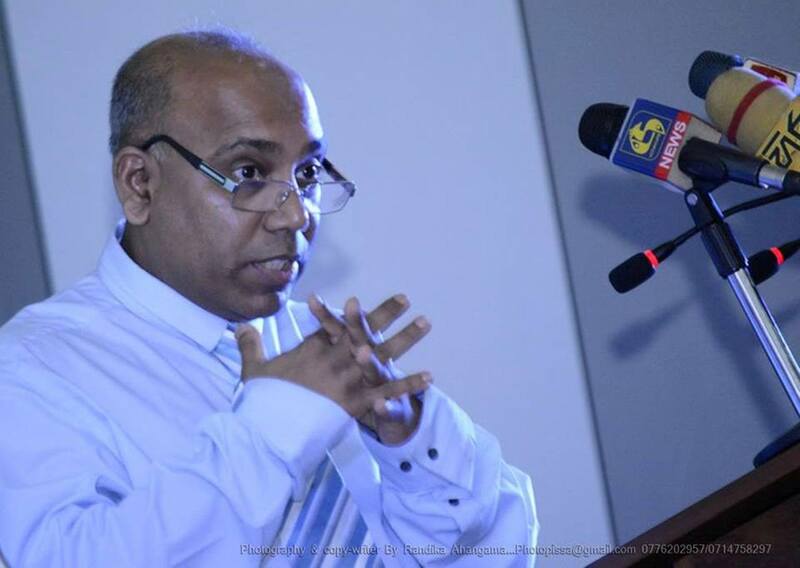 Deepanjali Abeywardena, Head of Information and Intelligence Services at Verité Research. Coordinator of Ethics Eye media monitoring project. 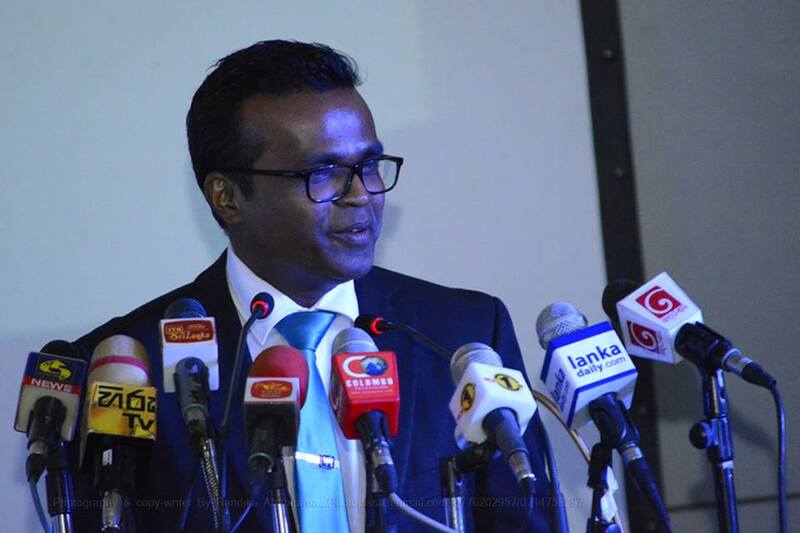 Dr Ranga Kalansooriya, Director General, Department of Information. 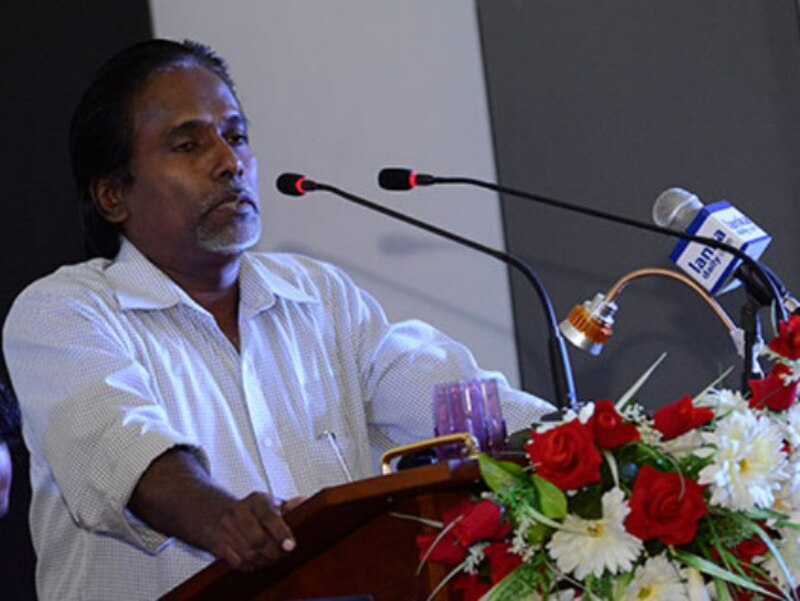 Former Director General, Sri Lanka Press Institute (SLPI). A popular TV programme genre in Sri Lanka that is being mass produced on the cheap is tele-dramas or television serials. Therein lies a problem: the local tele-drama industry is trapped in a vicious circle of low budgets and low production values. 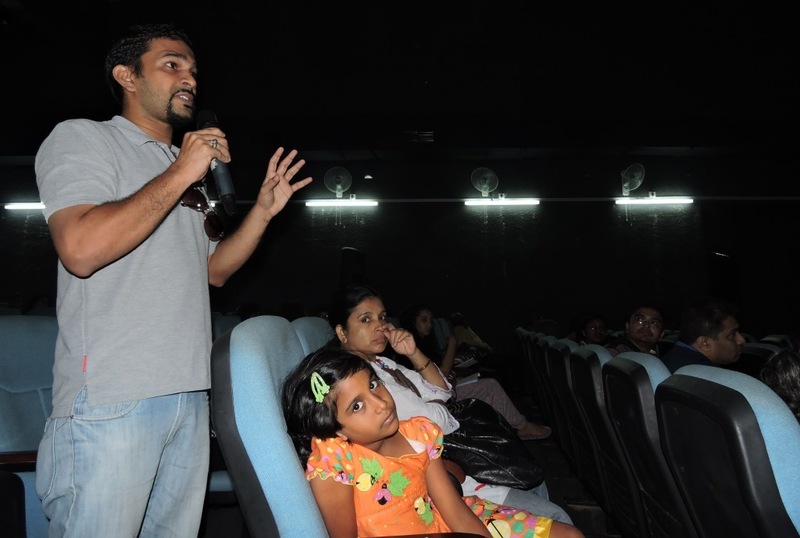 An estimated 5,000 to 6,000 Lankans who earn their living from this industry – as actors, script writers, directors and technical crew – are desperately searching for ways to break free. So far, many have opted for the protectionist path. 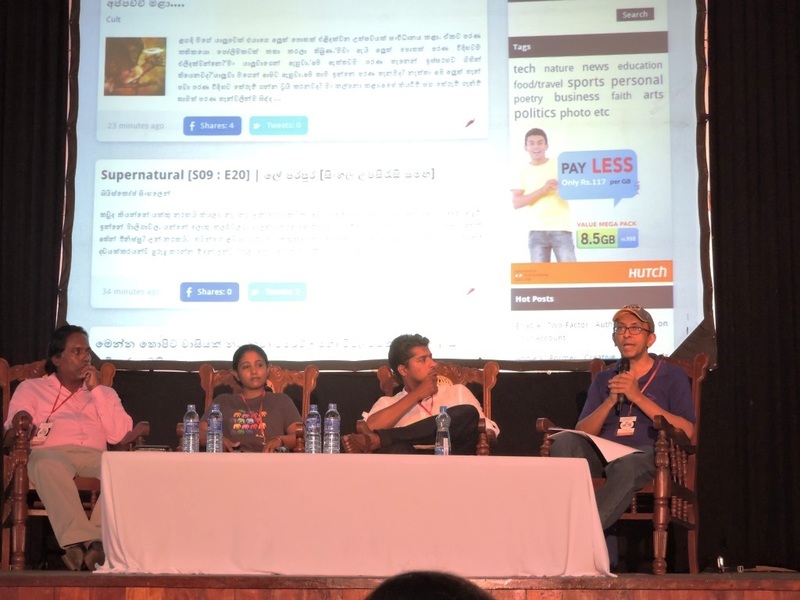 The Tele Makers Guild (TeleMG, http://telenisasl.org), an industry alliance, has been lobbying for the taxing of imported tele-dramas. They claim these are flooding the local market and undercutting their business. In this week’s Ravaya column (appearing in the print issue of 24 April 2016), I discuss problems and challenges facing the tele-drama production industry of Sri Lanka. As a viewer, I am opposed to cultural protectionism because it reduces my choice. So when TeleMG invited me as keynote speaker at their annual meeting held in early April, I urged them pursue the path of professionalism instead. Their big challenge, I said, is to make better shows with the existing budgets. That requires lots of creativity and resourcefulness. 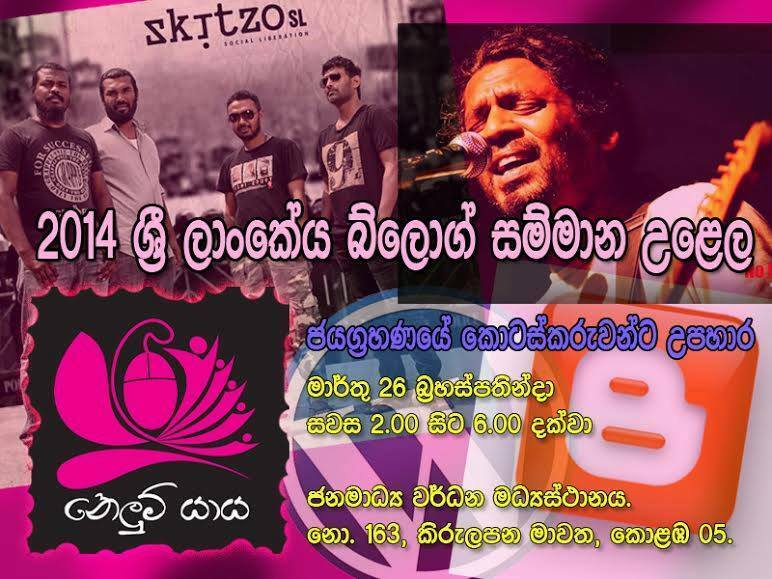 13 Feb 2012: සිවුමංසල කොලූගැටයා #53: අපේ ම ටෙලිවිෂන් කලාවක් දැන්වත් බිහි කරමු! ටෙලිවිෂන් මාධ්‍යයට ලැදි මා ටෙලිවිෂන් නරඹන්නේ (අනුපිළිවෙළින්) සරල රසවින්දනයට හා කාලීන තොරතුරු දැන ගැනීමට. මේ අවශ්‍යතා සපුරාලන ඕනෑම දෙස් විදෙස් නාලිකාවක් මා නරඹනවා. විදෙස් ගත වන විට නොතේරෙන භාෂාවලින් පවා සිත් ගන්නා සුලූ ටෙලිවිෂන් වැඩසටහන් බලනවා. 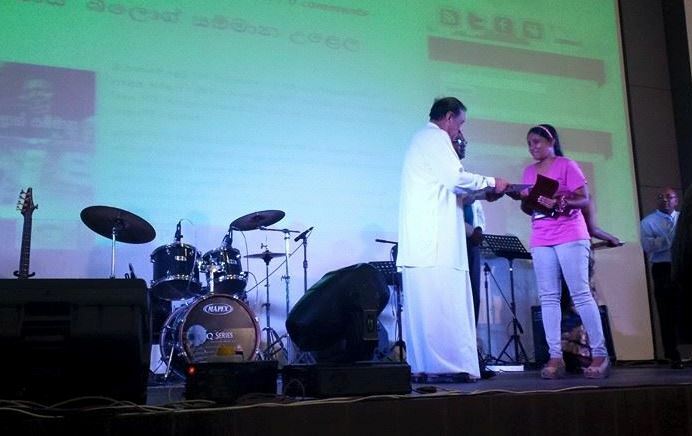 ටෙලි නිර්මාණවේදීන්ගේ සංසදය (ටෙලිනිස) සිය 22 වන සංවත්සර සභාවේ ප‍්‍රධාන දේශනය පැවැත්වීමට අපේ‍්‍රල් මස මුලදී මට ඇරයුම් කළා. ඇරයුම් කළ පිරිසගේ තාවකාලික ප‍්‍රමෝදයට හේතු වන උද්්‍යාගපාඨ හෝ සටන් පාඨ කියා ඔවුන් අබියස වීරයකු වීම මගේ සිරිත නොවෙයි. ඒ නිසා මේ කර්මාන්තය ගැන කෙටියෙන් මුත් අවංක විග‍්‍රහයක් කිරීමට මා තැත් කළා. එදා කී දේ හා කියන්නට වේලාව මදි වූ දේ අද ලිපියෙන් මා බෙදා ගන්නට කැමතියි. ශ‍්‍රී ලංකාවේ ටෙලිනාට්‍ය ක්ෂේත‍්‍රය සමස්තයක් ලෙස විචාරයක් කිරීමට තරම් පර්යේෂණාත්මක දැනුමක් මට නැහැ. එහෙත් දේශීයව නිර්මාණය වන ටෙලිවිෂන් අන්තර්ගතය රස විඳීමට කැමති, බොහෝ විට එම අපේක්ෂා ඉටු නොවීමේ අත්දැකීම සතු ටෙලිවිෂන් පේ‍්‍රක්ෂකයකු ලෙසයි මා අදහස් දැක්වූයේ. ටෙලිඩ‍්‍රාමා හා ටෙලිප්ලේ යන ඉංග‍්‍රීසි යෙදුම් ද සැලකිල්ලට ගෙන ‘ටෙලිනාට්‍ය’ වචනය බිහි කළේ එම ක්ෂේත‍්‍රයේ පුරෝගාමියකු වූ ධම්ම ජාගොඩයි. 1980 හා 1990 දශකවලදී ටෙලිනාට්‍ය මෙරට වඩාත්ම ජනප‍්‍රිය වැඩසටහන් ගණය බවට පත්වූවා. එයට දායක වුණේ කතා රසයෙන්, රංගනයෙන් හා නිෂ්පාදන ගුණාංගවලින් උසස් වූ ප‍්‍රසාංගික හා ඒකාංගික ටෙලිනාට්‍ය ගණනාවක්. ශීඝ‍්‍රයෙන් වෙනස් වන ජන සමාජයක ආකල්ප හා රසඥතාව විවිධාකාරයි. මීට පරම්පරාවකට පෙර මෙන් එකම අච්චුවේ නිර්මාණ ඕනෑ එකක් බාර ගන්නට අද පේ‍්‍රක්ෂකයන් සූදානම් නැහැ. එසේම වාණිජකරණය ද අත්මිදිය නොහැකි ලෙස ටෙලිවිෂන් කර්මාන්තය පුරා විහිද පවතිනවා. පේ‍්‍රක්ෂකයන්ට නොමිලයේ බලන්නට විකාශ කරන නාලිකා සිය වියදම සම්පාදනය කරගන්නේ දැන්වීම් හා අනුග‍්‍රාහකයන් හරහා. ඇන්ටෙනාවකින් හසු කරගත හැකි ජාතික මට්ටමේ (දිවයිනේ බොහෝ ප‍්‍රදේශවලට පෙනෙන) ටෙලිවිෂන් නාලිකා දුසිමකට වඩා (භාෂා 3න්ම) මෙරට තිබෙනවා. මේ අතරින් සිංහලෙන් නිෂ්පාදිත හෝ සිංහලට හඬ කැවූ හෝ ටෙලිනාට්‍ය පෙන්වන නාලිකා 9ක් පමණ වනවා. මේ සියල්ලම හසු කර ගත්තද තමන්ට රසවිඳීමට හැකි තරමේ ටෙලිනාට්‍ය තව දුරටත් බිහි වන්නේ නැතැයි මැසිවිල්ලක් සංවේදී පේ‍්‍රක්ෂකයන් අතරින් මතු වනවා. නාලිකා ගණන වැඩි වූවත්, ටෙලිනාට්‍ය පෙන්වන ගුවන් කාලය ඉහළ ගියත් පේ‍්‍රක්ෂකයන්ට ලැබෙන විවිධත්වය හා ගුණාත්මකබව දියුණු වී නැත්තේ ඇයි? දේශීය ටෙලිනාට්‍ය කර්මාන්තයට වින කරන සාධක මොනවාද? ටෙලිනිස සභාපති අනුර මාධව ජයසේකර ප‍්‍රධාන සාධක තුනක් සඳහන් කරනවා. කේබල් ටෙලිවිෂන් හා ඉන්ටර්නෙට් ^YouTube& හරහා විකල්ප රසාස්වාදන අවස්ථා පේ‍්‍රක්ෂකයන්ට මතුව ඒම. සිංහලෙන් හඬ කැවූ විදෙස් ටෙලිනාට්‍ය බොහෝ නාලිකාවල විකාශය වීම හා පේ‍්‍රක්ෂකයන් ඒවාට ආකර්ෂණය වීම. දේශීයව නිපදවන ටෙලිනාට්‍යවලට අසාධාරණ අඩු මිලක් ගෙවීමට රාජ්‍ය හා පෞද්ගලික දෙඅංශයේම ටෙලිවිෂන් නාලිකා ගෙන යන ප‍්‍රතිපත්තිය. තාක්ෂණයේ ප‍්‍රගමනය හා ගෝලීයකරණයට එරෙහිව කළ හැකි කිසිවක් නැහැ. විශේෂයෙන් තරුණ පරපුර නව සන්නිවේදන තාක්ෂණයට ලැදියි. ඔවුන් ඒ හරහා විදෙස් සිනමා හා ටෙලි නිර්මාණ නරඹනවා. ඒවායේ ආභාසයද ලබනවා. එසේම ටිකෙන් ටික තමන්ගේම නිර්මාණද වෙබ්ගත කරනවා. මේ ප‍්‍රවණතාව තවමත් මුල් අදියරේ පැවතියත් ටෙලිවිෂන් නාලිකා මුළුමනින්ම නොතකා කෙළින්ම YouTube වෙත තම නිර්මාණ මුදාහරින ලාංකිකයන් සිටිනවා. ඒ අතර ගප්පියා (www.youtube.com/user/gappiya) yd JehanR (www.youtube.com/user/jehanr) වැනි අය මේ වන විට පේ‍්‍රක්ෂක ජනාදරය දිනා ගෙන සිටිනවා. විදෙස් නාට්‍ය මෙහි පැමිණීම හා හඬ කවා විකාශය වීම ගැන පේ‍්‍රක්ෂකයකු ලෙස මා සතුටුයි. මෙය අද ඊයේ නොව 1980 ගණන්වල ටයිටස් තොටවත්තයන් ඇරඹූ සම්ප‍්‍රදායක්. විශ්ව සාහිත්‍ය කෘතීන් පරිවර්තන හරහා හෝ හඳුනා ගැනීම හොඳ නම් විදෙස් ටෙලිනාට්‍ය හඬ කවා මෙරට පෙන්වීමේ වරදක් ඇත්ද? මෙය තර්ක කළ හැකි කරුණක්. නමුත් චාරයක්, සීමාවක් නැතිව හඬ කැවීම් කිරීම දේශීය ටෙලිනාට්‍ය කර්මාන්තයටත්, පේ‍්‍රක්ෂකයාටත් අහිතකරයි. ටෙලිවිෂන් නාලිකා කියන්නේ හඬ කැවූ විදෙස් නාට්‍ය වඩාත් ජනප‍්‍රිය බවයි. මෙය මැනීමට භාවිත කරන ටෙලිවිෂන් තක්සේරු ක‍්‍රම (TV Ratings) දෙකක් මෙරට තිබෙනවා. ඒ දෙකෙහිම පාරදෘශ්‍ය ක‍්‍රමවේදයක් නැහැ. විදෙස් නාට්‍යවලට පේ‍්‍රක්ෂකයන් ලැදිවීම තේරුම් ගත හැකියි. ඉන්දියාව හා කොරියාව වැනි රටවල වැඩි වියදමක් දරා වඩා ඉහළ නිෂ්පාදන මට්ටමකින් නිම කරන ටෙලිනාට්‍ය සමග ඍජුව තරග කරන්නට දේශීය ටෙලිනාට්‍යවලට බැහැ. 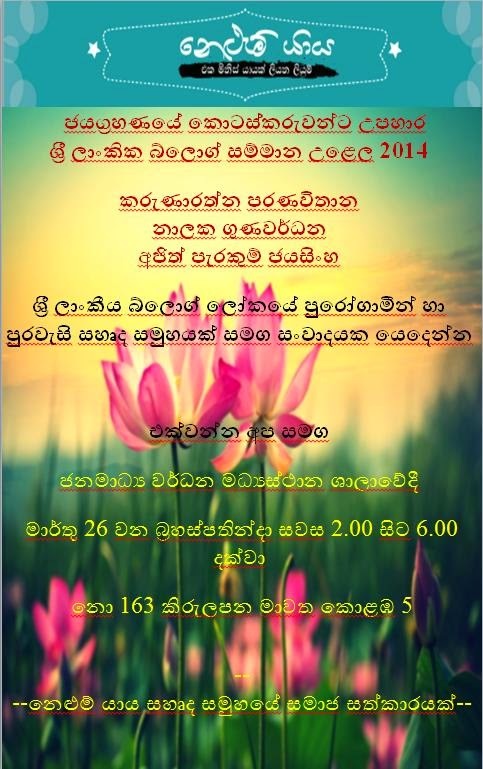 දේශීය ටෙලිනාට්‍ය එක් අංගයකට (විනාඩි 20-22) නාලිකා විසින් ගෙවන ගණන රු. 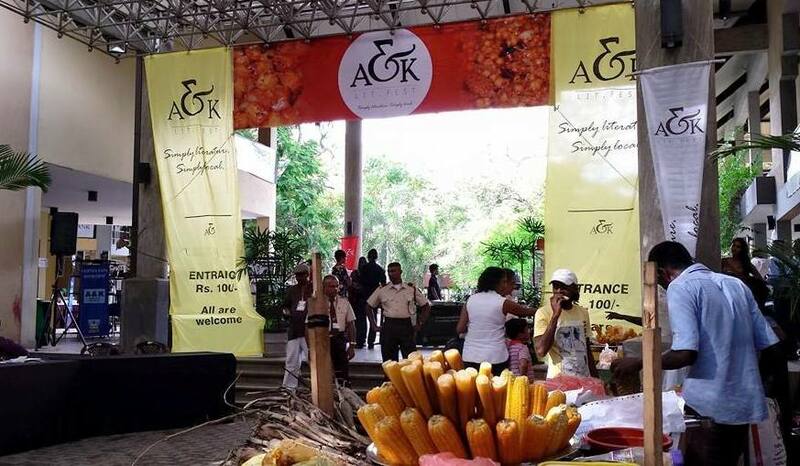 90,000 සිට 200,000ක් පමණ වනවා. බහුතරයක් නාට්‍යවලට ගෙවන්නේ පරාසයේ අඩුම ගණනයි. නාලිකා කළමනාකරුවන් කියන්නේ ටෙලිනාට්‍ය බොහොමයක් තත්ත්වයෙන් බාල නිසා මීට වඩා ගෙවිය නොහැකි බවයි. මෙකී නොකී සාධක රැසක් නිසා ටෙලිනාට්‍ය කර්මාන්තය එක තැන පල් වෙමින් තිබෙනවා. කර්මාන්තයේ පූර්ණ කාලීනව හෝ අර්ධ කාලීනව නිරත වන 5,000ක් පමණ දෙනාගේ ජීවිකාවට මේ සංකීර්ණ ප‍්‍රශ්න ඍජුවම බලපානවා. පේ‍්‍රක්ෂකයන් ලෙස අප මේ ගැන සානුකම්පිත විය යුතුයි. එසේ වුවද ප‍්‍රශ්නයට විසඳුම් යථාර්ථවාදී හා ප‍්‍රායෝගික වීම වැදගත්. ටෙලිනිස ඉල්ලීම මත විදෙස් චිත‍්‍රපට ටෙලිනාට්‍ය හා ටෙලි දැන්වීම් සඳහා ආනයන බද්දක් 2006දී පසුගිය රජය හඳුන්වා දුන්නා. වැඩිම බදු පැනවුණේ ඉන්දියාවෙන් එන නිර්මාණවලටයි. පසුව (දෙමළ ජාතික මන්ත‍්‍රීවරුන්ගේ ඉල්ලීම නිසා) ආනයනිත දෙමළ වැඩසටහන්වල බද්ද ඉවත් කරනු ලැබුවා. මෙය ආරක්ෂණවාදී (Protectionist) බද්දක්. ලක් රජයද අත්සන් කර තිබෙන ලෝක වෙළඳ සම්මුතීන්ට පටහැනි පියවරක්. එසේම :2015දී මේ බද්ද අහෝසි කරන තුරු) මේ බදු හරහා 2006-2014 කාලය තුළ ටෙලිවිෂන් නාලිකාවලින් රුපියල් බිලියනයකට වඩා රජය එකතු කළ බවට අනුමාන කැරෙනවා. මේ මුදල් දේශීය සිනමා හා ටෙලිනාට්‍ය කර්මාන්තවලට යොමු කිරීමේ අරමුණක් තිබුණා. එහෙත් හම්බන්තොට දිස්ත‍්‍රික්කයේ රන්මිණිතැන්න නම් ටෙලි සිනමා ගම්මානයක් ඉදි කිරීම හැරුණු විට මේ මුදල් කෙසේ වැය කළාදැයි පැහැදිලි වගවීමක් නැහැ. බදු පනවා තරගකාරීත්වය යම් තරමකට හෝ අවහිර කළද දේශීය ටෙලිනාට්‍ය කර්මාන්තයේ නිෂ්පාදනවල සැලකිය යුතු ගුණාත්මක දියුණුවක් දක්නට නැහැ. ඔහු මෙයට එක් ප‍්‍රධාන හේතුවක් ලෙස දකින්නේ කලාවක් නොව කර්මාන්තයක් බවට පත්වීමයි. එහෙත් වෙනත් රටවල සිනමා හා ටෙලි කලාවන් කර්මාන්ත ලෙස ද තුලනයක් සහිතව පවතිනවා. 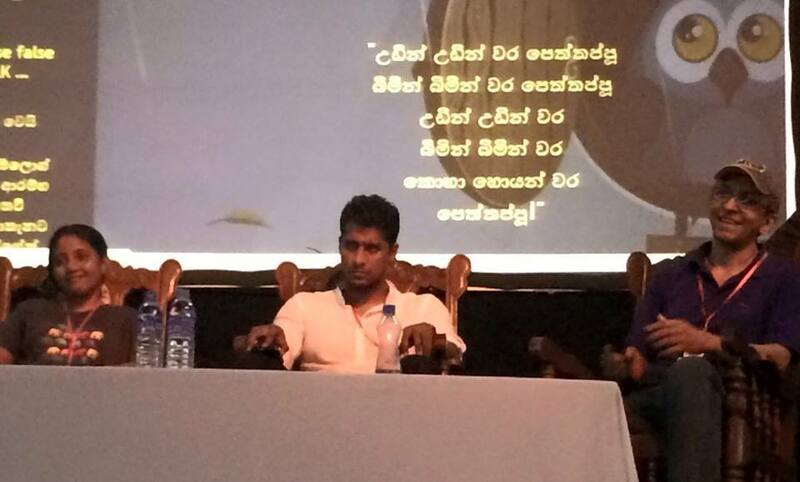 Bertram Nihal asks: where is professionalism in Sri Lanka’s teledrama industry? ටෙලිනිස උදක්ම ඉල්ලා සිටින්නේ රාජ්‍ය මැදිහත් වීමක්. රාජ්‍ය පාලනය යටතේ පවතින රූපවාහිනී හා ෂඔභ නාලිකා ප‍්‍රමිතියක් සහිත ටෙලිනාට්‍ය බිහි කිරීමට උදවු උපකාර කළ යුතු බව ඔවුන්ගේ අදහසයි. එහෙත් දිගු කලක් තිස්සේ අනවශ්‍ය ලෙස දේශපාලන පත්වීම් ලබා දුන් අයගෙන් කාර්ය මණ්ඩල අතිරික්තයක් ඇති වී තිබෙන මේ ආයතන දෙකෙහි මාස්පතා පඩි ගෙවා ගැනීමේ දැවැන්ත අභියෝගයක් තිබෙනවා. ඒ නිසා හොඳ දේ ප‍්‍රවර්ධනය කරනු වෙනුවට ජනප‍්‍රිය වැඩසටහන්ම පෙන්වා දැන්වීම් ආදායම උපරිම කරගන්නට මේ ආයතන ද්විත්වයට සිදුව තිබෙනවා. මෙය ලෙහෙසියෙන් ලෙහාගත හැකි ගැටයක් නොවෙයි. රාජ්‍ය-කේන්ද්‍රීය මානසිකත්වයට නතු වී සිටිනු වෙනුවට තම ක්ෂේත‍්‍රයේ වෘත්තීයභාවය වැඩි කිරීමට ටෙලිනිස ඇතුළු ටෙලි කර්මාන්තයේ සියලූදෙනා දැනට වඩා ඇප කැපවිය යුතුයි. මේ ගැන එම ක්ෂේත‍්‍රයේ මීට වඩා සංවාද හා පෙළගැසීම් අවශ්‍යයි. ටෙලිනාට්‍ය මෙන්ම සමස්ත ටෙලිවිෂන් කර්මාන්තයේම වෘත්තීයභාවය අඩුවීමට හේතු ගණනාවක් තිබෙනවා. පුහුණු ශ‍්‍රමයේ හිඟයක් හා හරිහැටි පුහුණුව ලබා ගැනීමේ දුෂ්කරතා රැසක් පවතිනවා. නොයෙක් පාඨමාලා ඇතත් ප‍්‍රමිතියක් නැහැ. එකිනෙකා පරයා අඩු මුදලට වැඩ කිරීමට යාම (under-cutting) නිසා කර්මාන්තයේම වෘත්තීය ප‍්‍රමිතීන් හෑල්ලූ වෙලා. බර්ට‍්‍රම් නිහාල් කියන්නේ ටෙලි කර්මාන්තයේ වෘත්තීයභාවය ඉහළ දැමීමට සාමූහික හා දිගු කාලීන ප්‍රයත්නයක් නොගෙන අන් කුමක් කළත් එතරම් ප‍්‍රතිඵල නොලැබෙනු ඇති බවයි. මගේ මතය ද ක්ෂේත‍්‍රය තුළ පවතින විසමතා හා අඩුපාඩු හදා නොගෙන තරගකාරී විදෙස් නිර්මාණවලට ආරක්ෂණවාදී බදු ඉල්ලා සිටීම හෝ මෙගා නාට්‍යවලට සීමා පැනවීම තාවකාලික, පැලැස්තර ප‍්‍රතිකර්ම පමණක් බවයි. ටෙලිනාට්‍ය යනු හුදෙක් නළු නිළියන් හා අධ්‍යක්ෂවරුන් පමණක් නොවෙයි. ප‍්‍රශස්ත නිර්මාණයකට දායක වන ශිල්පීන් වර්ග රාශියක් සිටිනවා. කර්මාන්තයක් ලෙස දියුණු වීමට නම් කතා පිටපත් රචකයන්, කැමරා ශිල්පීන්, හඬ ශිල්පීන්, වීඩියෝ සංස්කාරකයන්, වේශ නිරූපණ ශිල්පීන්, සංගීත ශිල්පීන්, කලා අධ්‍යක්ෂවරුන් වැනි බොහෝ මට්ටම්වල කුසලතා වර්ධනය විය යුතුයි. කතා රචකයන් උදාහරණයකට ගනිමු. ටෙලිනාට්‍ය නිෂ්පාදනය දියුණු ජපානය, කොරියාව, දකුණු අප‍්‍රිකාව වැනි රටවල එහි විශේෂඥභාවය බොහෝ ඉදිරියට ගොස් තිබෙනවා. 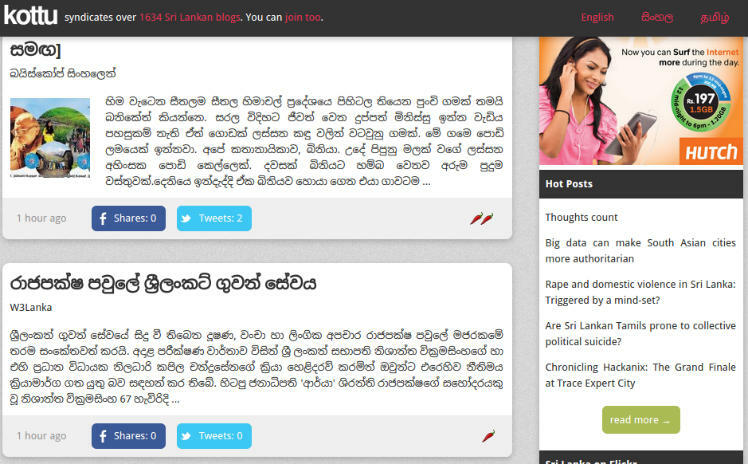 යම් කතාවක සැකිල්ල හා වස්තුව (story plot) නිර්මාණය කරන්නා බොහෝ විට දෙබස් ලියන්නේ නැහැ. දෙබස් රචනයටම සමත් ශිල්පීන් සමග සාමූහිකව පිටපත ලියනවා. අපේ ටෙලිනාට්‍යවල කතා රචනය බොහෝ විට පටු සමාජ දැක්මකට කොටු වෙලා. 1970 හා 1980 සමාජ යථාර්ථයන්ගෙන් ඔබ්බට යා නොහැකිව එක තැන පල් වනවා. ඔවුන්ට අනුව ගම සදාකාලිකවම සුන්දරයි. නගරය දරුණුයි. විවෘත ආර්ථිකය බිහිසුණුයි. ධනවතුන් සියල්ලෝම පාපතරයෝ. මේවැනි සරල ලඝු කිරීම් අපේ ටෙලිනාට්‍යවල බහුලයි. ටෙලිනාට්‍ය රචකයන් අතර කාන්තාවන් කීදෙනකු සිටිනවාද? තිරයේ පෙනෙන නාමාවලිවලට අනුව නම් ඉතා සුළු පිරිසක්. මේ පසුබිම තුළ කාන්තා ප‍්‍රශ්න අපේක්ෂා හා සිතුම් පැතුම් ටෙලිනාට්‍යවල මතු වන්නේ පුරුෂ දෘෂ්ටි කෝණයක් හරහායි. 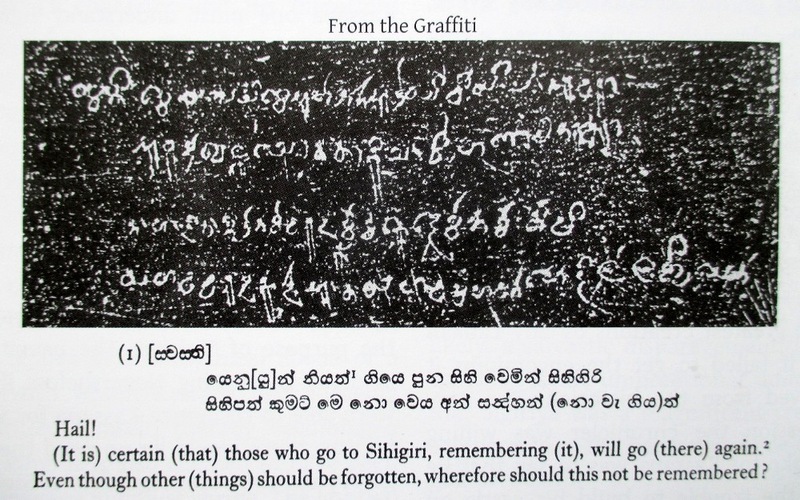 මෙයද ටෙලිනාට්‍යවල වෘත්තීය බව සීමා කරනවා. අපේ උපහාසාත්මක ටෙලිනාට්‍ය පවතින්නේද පහත් මට්ටමක. පේ‍්‍රක්ෂකයා හිනස්සන්න, කිති කවන්න හැකි සියුම් ක‍්‍රම ඕනෑ තරම් තිබෙනවා. එහෙත් අප බොහෝ විට දකින්නේ ගොරහැඬි, ග‍්‍රාම්‍ය මට්ටමේ හාස්‍යය මිස සංවේදී හා තියුණු උපහාසය නොවෙයි. ව්‍යාංගාර්ථ, අපහාසයන් හා කුණු රසය නම් එමට තිබෙනවා. ටෙලිනාට්‍ය කර්මාන්තයට මේ සිදු වෙමින් පවතින්නේ චිත්‍රකතාවලට අත් වූ ඉරණමට සමාන හිරු බැස යාමක්ද? චිත‍්‍රකතා මාධ්‍යය දේශීයකරණය වී පාඨකයන්ගේ සිත්වල දිගු කල් රැුඳුණු කතා රැසක් 1960 දශකයේ බිහි වූවා මෙන්ම මුල් වටයේ නැවුම් හා නිර්මානශීලී ටෙලිනාට්‍ය රැල්ලත් අප කුල්මත් කළා. එහෙත් අධික වාණිජකරණය නිසා චිත‍්‍රකතා කර්මාන්තය ඇද වැටුණු පරිදිම ටෙලිවිෂන් නාලිකා හසුරුවන්නන්ගේ හා ඇතැම් නිෂ්පාදකයන්ගේ ගිජුබව නිසා ටෙලිනාට්‍ය කර්මාන්තයද අර්බුදයකට ලක්ව තිබෙනවා. ටෙලිනාට්‍ය කර්මාන්තය ප‍්‍රමාද වී හෝ 21 සියවසට පිවිසීම වැදගත්. අතීතකාමය හා අතීත උන්මාදය හරහා නව්‍යකරණය කරන්න නොහැකියි. එසේ නොකරන තාක් කල් පේ‍්‍රක්ෂක අපට සිදු වන්නේ දුරස්ථ පාලකයෙන් අපේ අමනාපය පළ කිරීම පමණයි!